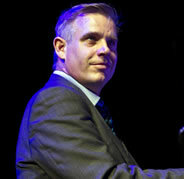 Award-winning vocalist Matthew Ford is widely regarded as the finest big band singer in the UK, broadcasting regularly with the BBC Big Band and the John Wilson Orchestra. Matthew has built an enviable wealth of experience, performing with the Hallé, Philharmonia, Royal Liverpool Philharmonic, City of Birmingham Symphony, BBC and RTÉ Concert Orchestras. As a recording artist Matthew is always in demand for sessions and albums, his recent album 'Portrait' airing on BBC and RTÉ Radio. 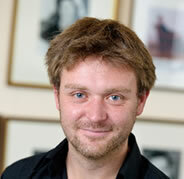 Thomas read music at St.Catharine’s College Cambridge and studied violin and chamber music at The Royal Northern College of Music. He won a scholarship with the RAM, Stockholm, where he studied conducting with Jorma Panula and Alan Gilbert. Composer, conductor, and chansonnier, HK Gruber is one of the most well-known and well-loved figures in contemporary music. His highly individual style has been labelled ‘new-Romantic’, ‘neo-tonal’, ‘neo-expressionistic’ and ‘neo-Viennese’. However his music remains refreshingly non-doctrinaire – a deceptively simple and darkly ironic idiom, drawing influence from Berg, Stravinsky, cabaret and pop music, and often with a heavy dose of black humour. In 2002, Gruber was awarded Austria’s most prestigious cultural prize, the Greater Austrian State Prize, and in 2009 was announced as an Honorary Member of the Wiener Konzerthaus, following a great tradition of musicians including Stravinsky, Boulez, Bernstein and Abbado. 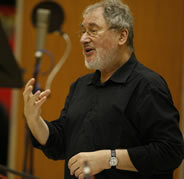 Born in Vienna in 1943, Gruber sang with the Vienna Boys’ Choir as a child and then studied at the Vienna Hochschule für Musik. From 1969 to 1998 he played in the Radio Symphonieorchester Wien. Gruber first began performing as a singer/actor with the ‘MOB art and tone ART’ ensemble, a group he co-founded in 1968 with fellow Viennese composers Kurt Schwertsik and Otto Zykan. He has since appeared extensively in this role, most notably in his own, and arguably most popular work, Frankenstein! 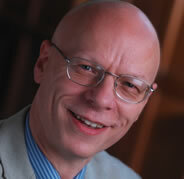 !, which received its premiere from Sir Simon Rattle and the Royal Liverpool Philharmonic in 1978. Continuing a line of distinguished musicians such as Karin Ott, Christine Schäfer and Anja Silja, he has also performed in this chansonnier role in Schoenberg’s Pierrot Lunaire and Maxwell Davies’ Eight Songs for a Mad King, as well as in the works of Kurt Weill and Hanns Eisler. Daniele Silingardi was born in Castelfranco, Veneto, Italy and trained at Il Balletto and Royal Ballet Upper School. 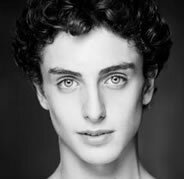 He joined English National Ballet in Autumn 2013. Whilst at the Royal Ballet School, Daniele performed soloist roles in Neumeier’s Yondering and La Destinée by Mark Annear and the Prince in The Nutcracker with Il Balletto. Daniele won 1st prize in the Youth American Grand Prix European semi-finals (2011) and was invited to perform at the New York City finals. Competitions in Italy include the International Dance Competition in Florence and the World Dance Trophy. He has been awarded scholarships with the schools in Stuttgart, Hamburg, Boston, Bolshoi and Conservatoire de Paris. 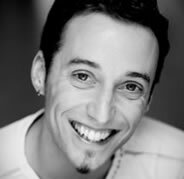 Daniele’s qualifications include diplomas from the Royal Academy of Dance (Advanced 2) and ISTD (Advanced 1 and Modern Advanced 2). Fabian Reimar was born in Vienna, Austria and started dancing at age 8. 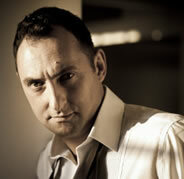 He trained at Vienna State Opera Ballet School and Marico Besobrasova in Monte Carlo. 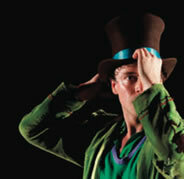 Fabian danced for Vienna State Opera before joining English National Ballet in 2002. He was promoted to Soloist in 2003 and First Soloist in 2007. Fabian’s favourite roles are Albrecht in Giselle and Tybalt in Romeo & Juliet. Career highlights include dancing Lescaut in Manon and performing as Rothbart at Concert for Diana at Wembley Stadium. Fabian has choreographed '[co][hes][ion]' in 2013 and 'we are free' in 2014 for English National Ballet's Choreographics. Miss Julie, Macbeth (Southampton); The Caretaker, David Copperfield (Dundee); Who's The Daddy?, Timing (King's Head); Emma (Method and Madness). Television includes: Silk, Silent Witness, The Curse Of Steptoe, Holby City, The Plot Against Harold Wilson, Doctor Who, Waking The Dead, Eastenders, The Bill. Radio includes: BBC Radio Rep 2012, The Cruel Sea, The Lifeblood, Ulysses, Mrs Dalloway, Pilgrim, Romeo and Juliet, The Tempest, The Colour of Milk, Black Dirt, The House In The Trees, Caligari, Book of the Week. Amelia Carrington-Lee trained and completed a 3-year diploma in dance at Ballet Rambert School and has performed professionally throughout Europe and the UK with Ballet Creations, Vienna Festival Ballet and Reanimators. Commercial and TV engagements have included appearances on The Generation Game and work in Singapore and Japan. She gained a DTLLS teaching qualification with Trinity College London / British Ballet Organisation and continued on the faculty as a mentor for their teaching quals students. Further teaching qualifications were achieved at the Royal Ballet School and Royal Opera House, gaining a Diploma in Ballet in Education Practice. Amelia has worked as a freelance dance artist with English National Ballet for the past five years. 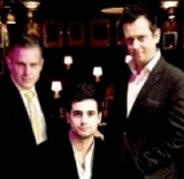 The Ronnie Scott's All Stars are comprised of some of the greatest talents on the UK scene, including some of our most regular performers, James Pearson (piano), Sam Burgess (bass) and Pedro Segundo (drums). James Pearson is one of the most exciting musicians to have emerged from the UK in the last 25 years. 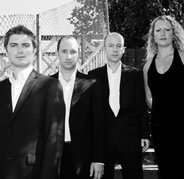 After working with him, the late jazz legend Sir John Dankworth declared: "James Pearson is an exceptionally gifted artist. 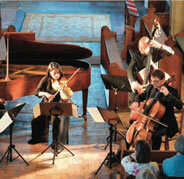 His masterful playing makes him head and shoulders above the rest of his contemporaries. He shows signs of true greatness". Despite only being in his early 30’s, bassist Sam Burgess is already a stalwart of the UK jazz scene and has appeared on such soundtracks as 'Bridget Jones's Diary' and 'Hannibal'. Sam’s thumping, pounding, relentlessly driving bass lines have been heard accompanying the likes of Bob James, Billy Kilson, Gary Novak, Joe Lock, Dave Kekowski, Guy Barker, Dave O'Higgins, Pete King, Gareth Williams, Claire Martin, Jim Mullen, Alan Barnes, Tim Whitehead, John Horler, Gwyneth Herbert, John Dankworth, The BBC Big Band and Robbie Williams. Potrugese drummer Pedro Segundo was born and raised in Lisbon. He picked up the drums seriously at the age of eight, starting studying classical percussion a year later. 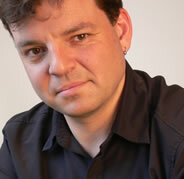 In June 2011 he graduated from the Guildhall School of Music and Drama in Timpani and Classical Percussion. His musical ability combines a blend of styles, creating a unique sound on the drum set. He has played regularly with Dennis Rollins, Femi Temowo, Mário Franco, Cleveland Watkiss and many other artists touring in festivals all around the globe. A graduate of King’s College London and the Royal Academy of Music (DipRAM), Jonathan McGovern is the recipient of the Second Prize at the 2011 Kathleen Ferrier Awards, the Gold Medal and First Prize at the Royal Over-Seas League Annual Music Competition in 2010, the Karaviotis Prize at the 2011 Les Azuriales Competition and the Jean Meikle Duo Prize at the 2011 Wigmore Hall/Kohn Foundation International Song Competition, where he was also a finalist. 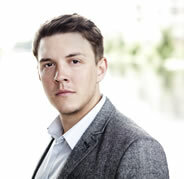 Jonathan is a former Britten-Pears Young Artist and an Associate Artist with Classical Opera. A regular guest at English National Opera, he has also appeared at the festivals in Aix-en-Provence, Verbier, Brighton, Iford (title role in Monteverdi's 'Il ritorno d'Ulisse in Patria'/Christian Curnyn), the BBC PROMS, the London Handel Festival (title role in Telemann's 'Orpheus'), the Berlin Konzerthaus (Ensemble Modern/Kent Nagano), Wigmore Hall and Lille Opera. Recordings include Charpentier's Le Reniement de St Pierre with La Nuova Musica and David Bates for HM USA and songs by Mendelssohn and Debussy, both with Malcolm Martineau, for Champs Hill and Hyperion. Sholto read Music at Worcester College, Oxford, and studied at the Royal Academy of Music and the Guildhall School of Music and Drama. He was awarded scholarships to all three institutions and upon graduation from the GSMD was appointed a Junior Fellow there. His teachers included Michael Dussek, Graham Johnson, Vanessa Latarche, Malcolm Martineau and Ronan O’Hora. 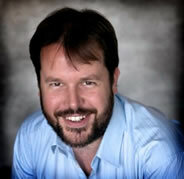 He is the founder and director of the Oxford Lieder Festival, the UK’s most renowned song festival. Recording projects include an ongoing series of the complete songs of Hugo Wolf, recorded live at the Lieder Festival. Gramophone Magazine wrote of the first volume: “The team of four singers is first-rate, responsive in every way, and if anything even more remarkable is the work of their pianist, Sholto Kynoch, displaying an exceptional expressive range, not only ideally agile but with the most subtle range of tone and dynamic.” The seven volumes released so far, of a projected eleven, have been similarly acclaimed. 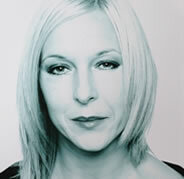 Polly Gibbons is one of the most respected and talked about young singer/songwriters of her generation. Nominated for a BBC Jazz Award back in 2006 with no album release to her name, was clear indication of just how special a singer and performer Polly is. Much esteemed by her contemporaries, Polly has built a reputation as being an original and gifted voice. With warm, rich, soulful vocals and an innate blues sensibility, Polly has been likened to many of the jazz and soul greats bringing her own storytelling and earnest depth alongside unique humour and fun to performances. Having developed her craft over the past decade, Polly has performed at all the leading UK jazz clubs, international festivals and is a regular at Ronnie Scott’s performing with the All Stars. My Own Company, her debut UK jazz album with James Pearson, Musical Director of Ronnie Scott’s and pianist with the Ronnie Scott’s All Stars has just been released – long overdue, yet not before time, with Polly sounding more beautiful and rarer than ever. Polly’s influences are brilliant, broad and inspired ~ from the poetry of Joni Mitchell and Leonard Cohen, to the be-bop of Charlie Parker, the deep wails of Mahalia Jackson’s gospel, to the emotional depth of Donny Hathaway, Billie Holiday and Nina Simone; the soul of Marvin Gaye, the blues of Buddy Guy and more contemporary brilliance in the sounds of Prince and D’Angelo. 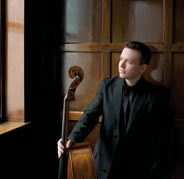 Since his critically acclaimed concerto debut at the age of ten, the award-winning English 'cellist Richard Harwood has performed concerti and recitals in major venues including London's Royal Albert Hall, all of the South Bank Centre venues, Wigmore Hall, Musikverein (Vienna), Concertgebouw (Amsterdam), Alte Oper (Frankfurt), Thomaskirche (Leipzig), and the Auditorium du Louvre (Paris). 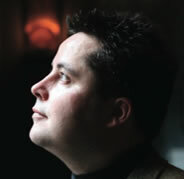 As concerto soloist, Richard has collaborated with conductors such as John Wilson, Okko Kamu, Marko Letonja, Douglas Bostock, En Shao, Shuntaro Sato, David Parry and Yehudi Menuhin, and with numerous orchestras including the The Philharmonia, Bournemouth Symphony Orchestra, RTÉ Concert Orchestra, Auckland Philharmonia, and the Ural Philharmonic. As chamber musician, he has collaborated with the Jerusalem and Endellion Quartets, Gidon Kremer, Yuri Bashmet, Olivier Charlier, Benjamin Schmid, Alena Baeva, Ilya Gringolts, Pekka Kuusisto, Vilde Frang, Chen Halevi, Julian Bliss, Martin Roscoe, Finghin Collins, Ashley Wass, Gottlieb Wallisch, and Julius Drake, among others. Richard's discography include a critically acclaimed debut disc for EMI Classics, recorded with pianist Christoph Berner, and Composing Without The Picture, a 2013 solo album of concert works written by film composers, on Resonus. In addition, Richard can be seen and heard in Phil Grabsky's 2009 documentary In Search of Beethovenwhich received its theatrical premiere at the Barbican Theatre, London, was broadcast on Sky Arts, and shown in cinemas worldwide. Richard began his studies with Joan Dickson, before continuing with other eminent teachers such as Steven Doane, David Waterman, Heinrich Schiff (University of Music and Dramatic Art, Vienna), and Ralph Kirshbaum (Royal Northern College of Music, Manchester). He complemented his studies by taking master classes and lessons with Mstislav Rostropovich, Janos Starker, Steven Isserlis, Boris Pergamenschikow, Miklós Perényi, Bernard Greenhouse, Valentin Erben (Alban Berg Quartet), William Pleeth, Zara Nelsova, and Ferenc Rados. 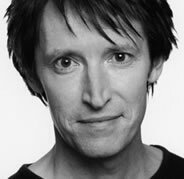 Richard has won many awards beginning in 1992 when he became the youngest ever winner of the Audi Junior Musician Award. The recipient of many awards from the MBF, Hattori Foundation, and KPMG / Martin Musical Scholarship Fund, Richard continued this success by winning the 2004 Pierre Fournier Award. He was also the first British 'cellist ever to be awarded the title "Bachpreisträger" at the International Johann Sebastian Bach Competition, Leipzig 2004. Among many other accolades, he received the special "mention" prize from the jury at the Rostropovich Competition, Paris in 2005.